Give SAQ drills a try. They’re fun. They’re fast. They’re mentally stimulating and engaging and frankly they beat boring old steady state cardio any day! It’s been said before that if you want to LOOK like an athlete, you have to train like an athlete. If you want to be lean, be strong, and function powerfully then you need to train like those who are. 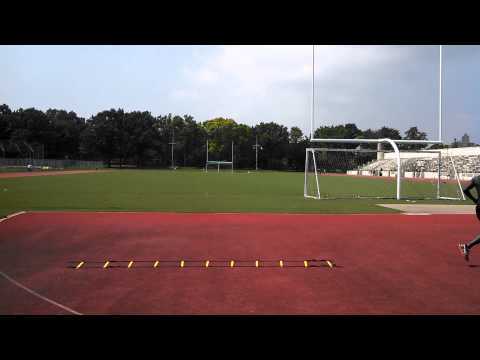 Speed, Agility and Quickness, or SAQ, drills are some of my favorite things to do, both as an athlete and as a trainer. The best thing about SAQ drills is that you can get very creative and they will not only increase your speed, coordination, balance and strength, but will also help shed unwanted body fat. 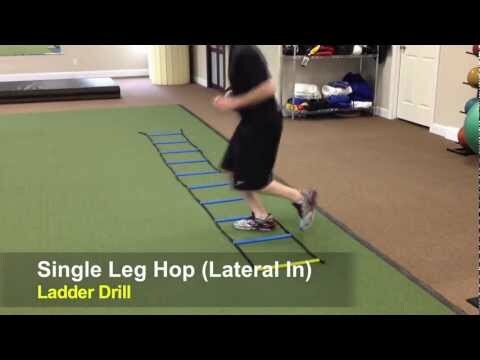 One particularly fun tool of SAQ drills are agility ladders. You can buy these, many sporting goods stores sell them, or you can construct your own (read written instructions; watch the video). You can even use duct tape, or chalk on a side walk! Here is a sample workout to get your heart pounding (and calories burning). Perform as a circuit (complete each exercise one after the other with no rest between exercises; rest 60 seconds between sets; repeat the circuit 5-10 times). Stand with feet straddling the first box. Hop into the box bringing your feet together. Jump forward and with feet back out straddling the box. Repeat down the entire ladder. Do high knees down through the ladder, making sure you get each foot in each box once. When you hit the end of the ladder take off as fast as you can for 50-100 yards. 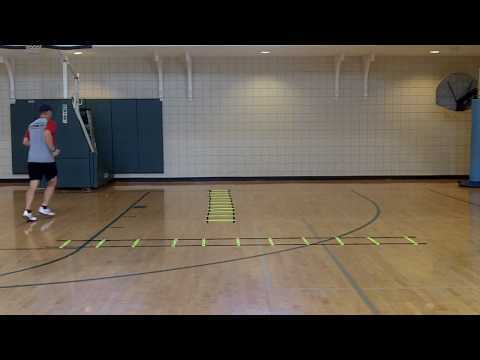 Start with your right side facing the end of the agility ladder. Stand on your right leg. Jump sideways into each box down the line staying on the same leg until you reach the end of the ladder. Switch legs to go back down the ladder to the starting point. 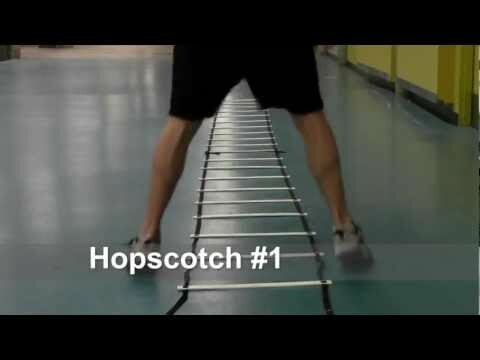 Start at one end of the agility ladder, moving laterally to your left by stepping left with your left foot. Then, bring your right foot in front, then step out sideways again with your left foot, then step your right foot behind it. Continue this sequence for the length of the ladder. Stand with feet shoulder-width apart facing the agility ladder. Squat down, jump up and land in the first box of the agility ladder. Continue down through the ladder. Face the ladder perpendicular. 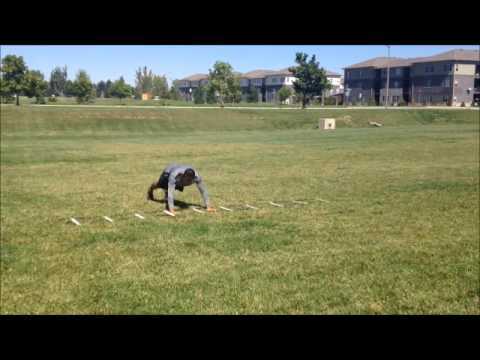 Get into pushup position, and then walk yourself into the next box of the ladder. Continue the length of the ladder. So go ahead and give SAQ drills a try. They’re fun. They’re fast. They’re mentally stimulating and engaging and frankly they beat boring old steady state cardio any day! Strength training (a.k.a. anaerobic training) typically uses weights, but it doesn’t have to, bodyweight exercises like squats and push ups can also be considered strength training depending on the intensity (i.e. how challenging they are for you).